DC doesn’t need any help getting their Amanda Waller. Warner Brothers has settled on their Amanda Waller, and she’s won two Oscars! Two time Academy Award winner Viola Davis is reportedly considering a multi-picture deal to play Amanda Waller in the cinematic universe that DC is trying to set up. Waller is best known as the government overseer of the group known as the Suicide Squad, and Davis will star in that role in the upcoming movie of the same name. The role of Waller was played by Angela Bassett in the Green Lantern movie in 2011. 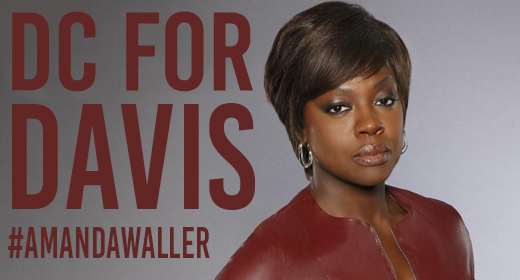 We all know how that turned out, so let’s hope Viola Davis can pull this one off. Are you excited about this? Do you think Davis will rock in this role? Let us know in the comments! Suicide Squad Cast Photo Revealed!